The Home Office has launched their ‘Let’s Protect Our Girls‘ Female Genital Mutilation (FGM) campaign to run for eight weeks, as part of their commitment to tackling this crime and protecting vulnerable women and girls. The campaign will support the ongoing work to tackle FGM, which includes an ongoing programme of outreach by the Home Office’s FGM Unit, work with law enforcement bodies, and working with partners to help ensure the Government’s response is as effective as it can be. 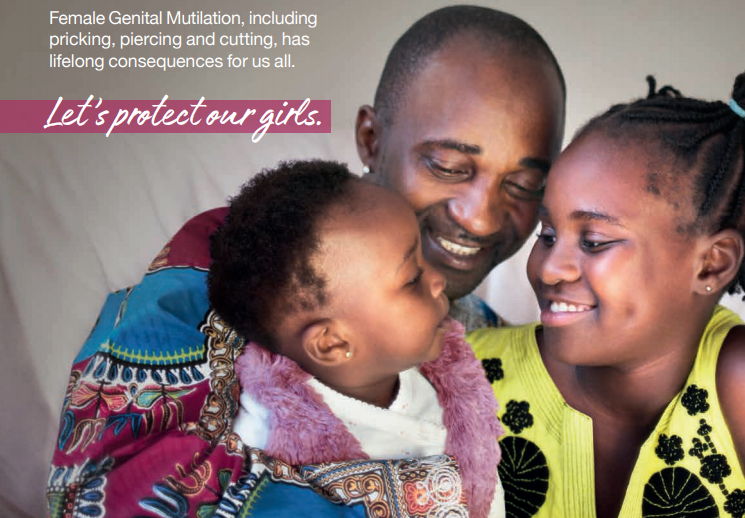 The campaign seeks to help prevent FGM by changing attitudes among affected communities through raising awareness of the negative long-term health consequences of FGM. The campaign also encourages communities to report via the NSPCC’s FGM helpline. Phone the free NSPCC FGM helpline anonymously on 0800 028 3550. In addition, a new set of resources have been produced, including posters titled ‘Let’s Protect Our Girls‘. damage which can last a lifetime. periods of Easter, summer and Christmas. More information, resources, and links to support services can be found on our FGM page.